If your partner has never benefited from a massage or massage therapy, a couple’s massage is a great way to introduce them. They can comfortably approach the massage knowing that you’re there with them. They will enjoy the massage more if they’re relaxed before the session begins. Being relaxed will help them take advantage of a completely relaxed mind and body after. In addition to the many physical benefits of massage, couples massage offers a chance for a couple to reconnect. How often do you and your partner get caught up in the daily stresses? Who forgot this, who forgot that? Often sitting at the table or on the couch at night getting caught up on emails so exhausted that you don’t feel close. Sometimes you might feel like roommates and not a couple. A couples massage will help connect you and your partner. It’s an opportunity to share “the moment” with each other while experiencing something new. You won’t hear the sound of an email or calendar reminder. The relaxing massage will help you both unwind and forget the daily stresses. Many couples find that after a massage that they’re able to communicate better, which naturally brings you closer together. 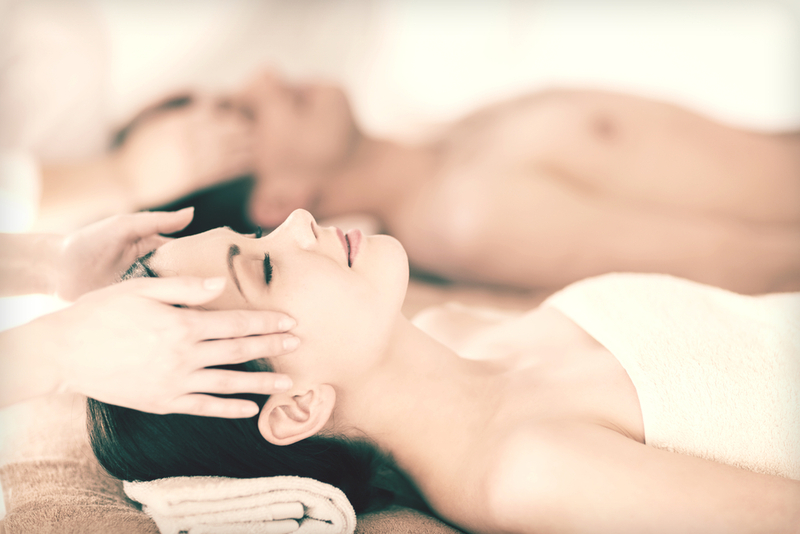 This Valentine’s Day, if you’re looking for something unique and relaxing, try a couple’s massage from Elements Massage™. It’s an opportunity to introduce your loved one to relaxing massage therapy. It will also give you both a chance to forget about the daily stresses and connect with each other. Contact your local Elements Massage™ Studio to book your Valentine’s Couples Massage today. Visit www.elementsmassage.com to find a studio near you.